The Indian Premier League is heating up and with every match being played, the situation in the points table is getting more complicated. The IPL Fantasy League is also slowly getting shape and the players who we should pick for this season are slowly starting to get defined. As the deadline for Round 5 gets closer, transfer choices have to be made and if you don't make the right ones, your entire season can be at risk. There also only 5 free trades available and you have to make sure that the trades you make have a lot of value. 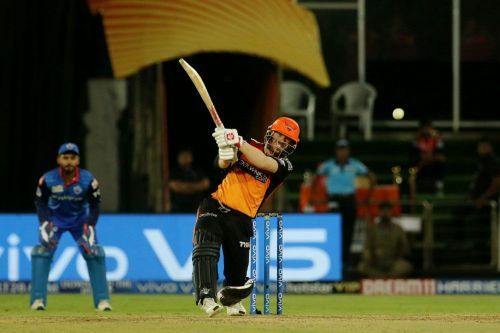 Round 5 will begin with the clash between the Sunrisers Hyderabad and the Chennai Super Kings on April 11th. Note: The Delhi Capitals will play 3 games in this round. Try to get more players from their team. Also, KXIP will play only one game in this round so make your transfers accordingly. The IPL is slowly entering into its peak and this is when we need to get the players who have been performing consistently into our team. The suggested team for Round 4 was pretty good as Jos Buttler delivered as captain with the Free Hits helping out. With only 5 free trades available, we have to retain the right players and make good transfers. Let's take a look at the players who have to be retained for Round 5. KL Rahul will be an obvious retention after his splendid showing in Round 3. Though he will have only one fixture in Round 5, he's an in-form batsman from the team and with his selection in the World Cup, expect Rahul to light up the league with some great batting. Nitish Rana is another player who should be retained. Rana played a couple of cameos in Round 4 but hasn't showed the kind of form he showed initially. He's a mainstay of this KKR batting lineup and due to his relatively inexpensive credits and ability to get points, he's a solid option. Andre Russell is a must-have throughout this season and dropping him after his performance this season will be irrational. He is playing well against all kinds of bowling and can bowl when they play in their home, is the best fantasy option this season. Shreyas Gopal is another player who will remain in the team. With the main overseas players for RR set to leave after this round, RR might experiment with their team and he is the only cheap option who can survive this rotation and has a knack of picking up wickets. Shreyas Iyer, the Delhi Capitals skipper will remain in the team. The Delhi skipper has been in good form and so has his team. With 3 fixtures in Round 5, he has lot of chances of scoring runs and DC can make a run for the playoffs with a flurry of wins here. Imran Tahir will be the final retention for Round 5. The CSK spinner has been really good with the ball and has picked up regular wickets and is a dependable source of points. These will be the trades which will be made ahead of Round 5. Dropping Rohit Sharma was a forced change as he has been holding funds at the top and removing him allows you to access options with more value. Rishabh Pant is the first pick which comes to mind once you think about the Delhi Capitals. The keeper-batsman narrowly missed out on a spot in the World Cup squad and will be determined to prove that he deserved to be there. With added motivation to perform and plenty of opportunity to do so, watch out for Pant this week. Hardik Pandya has been brilliant this season and has been a real fantasy asset. He is a player who has equal chance of scoring points with both bat and ball and offers more value than Rohit. Yuzvendra Chahal will be the RCB player in my team. The ploy to bring in Pawan Negi backfired last week and he isn't a favorite to play in the next game hence the best RCB bowler, Chahal will be the option to go with. He has been brilliant with his variations and subtle change of pace and is a huge fantasy asset. Chris Morris will be the player who should be brought in to replace Ben Stokes in your team. The Delhi Capitals all-rounder is a sure starter and is a natural wicket-taker who can bowl at all stages of the game. He's also a hard-hitting batsman and can make some quick runs when needed. David Warner will be the last suggested transfer ahead of this round. There has been resistance in trying to bring him in but have to do so because the Aussie will most likely leave for World Cup preparations midway through Round 6. He has been the best batsman in the league and we can count on him to get a lot of runs in Round 5. The captaincy choices for Round 5 won't be easy as there are a lot of teams with good fixtures. Rishabh Pant will be a stable pick for captain while Shreyas Iyer, Andre Russell and David Warner can be good vice-captain picks. As for the Free Hit Picks, this will be my preferential order. IPL Fantasy 2019, MI vs CSK: Who would be the Fantasy X-factor in today's game?